As our guest, you are welcome to take enjoy our kid friendly, working farm. or play a game of horsehoes. If you would prefer a more relaxing evening, then please take advantage of the deck and sitting areas or enjoy a warm campfire in the evenings. Enjoy a homemade breakfast served during the hours of 7:30 - 8:30 am Saturday and Sunday. We offer a self serve breakfast Monday thru Friday. 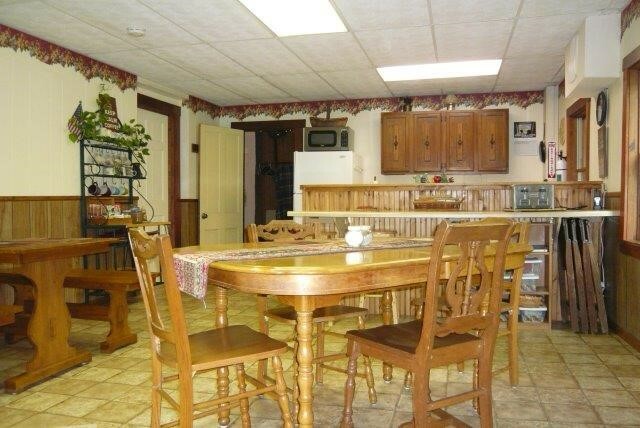 Various drinks and snacks are available in the kitchen throughout any day.